Marketing agencies now use many different software tools to do their jobs, including reporting tools. Some agencies worry that their clients might see branding from a tool company on their reports, misunderstand, and think that their work is being subcontracted. Other agencies believe that the tools they use provide a competitive advantage and would prefer that clients and third parties not be able to determine which tools are being used. These are a couple of the reasons why agencies look a reporting system that they can “white label”. White labeling means adding your own branding to another company’s product so you can present a unified front to your clients. When applied to a reporting tool, this is called white label reporting. White label reporting is important for your agency’s branding efforts. If you’re not including your branding with your reports, you’re missing out on an opportunity to strengthen your brand and add a personalized touch. Since clients will be looking at your reports regularly, that’s a lot of brand reinforcement. Also, if you offer an agency dashboard for your clients, adding your branding to that will also give a boost to your agency. Furthermore, some of your clients may want to see their own branding on the reports. Or, maybe a combination of client and agency branding. But what white label features do you need in your reports and dashboards in order to support your agency’s branding needs? In this article, we’ll be look at 6 of the most important. These are the features your reports need in order to serve as a face for your company’s deliverables. There are six key features that white label reporting system needs in order to adequately present your brand image. 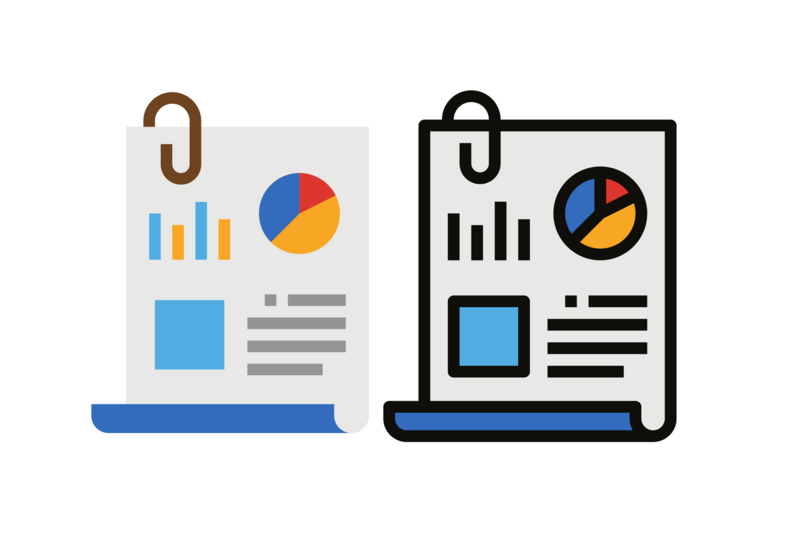 To maximize your brand’s exposure to clients, you’ll want to take advantage of each of these when creating reports or dashboards. First, and most obvious, is your logo. Your agency’s logo should be incorporated toward the top of each report in the upper left or right corner. Logos on dashboards should be toward the top. If your company has a wordmark, you can use this in place of the logo as well. It is not necessary to include your tagline or slogan, but you can add it in if it does not detract from report’s readability. You may also want a place to include the client’s logo. This also adds an element of personalization to each report. It can also reduce confusion if you’re looking through lots of reports and forget which one you’re reading. On reports, place the client’s logo on the cover page. For the dashboard, place it in the top left corner so that the client knows they are viewing their dashboard. Cover pages are a great opportunity to reinforce the brand and create a nice presentation for the client. Cover pages should include the report title, the time period the report covers (e.g., March 2018), and the delivery date. As for the design, the cover page should include your brand elements, specifically your logo/wordmark and brand colors. Depending on the client, you may want to make the cover page a “blend” of both your agency’s brand and the client’s brand. This should always include both logos and may also include colors from the brand palettes, and other elements that complement each other. In order to save time, you should save the cover page along with any report that you save as a template. That way, in the future, all you need to do is update the logo, colors, and title to reuse the structure in a new client report. This way you do not need to recreate the cover page each time you make a new report. Sometimes, you want to include some branding on every page. The header and footer are great places for general contact information for your agency, including the physical address, main phone number, fax number (if applicable), general email address, and website address. Your white label solution should support custom headers and footers for this reason. You may even want to include a logo or wordmark on the header or footer of each page. However, be careful not to overload the header and/or footer with too many elements. One thing to definitely avoid is adding images to the headers and footers that aren’t the logos as this is no place to introduce new branding images. If you opt not to use a logo or wordmark, try simply using your agency’s brand font for the general contact information and make the text the main color of your brand. Note that you should not use your brand colors on other brands. For example, if you are showing insights from Facebook Page & Ads Insights and use the Facebook logo, you need to follow Facebook’s brand guidelines (in this case, Facebook requires the use of the blue logo for white backgrounds or inverse [gray] for dark backgrounds). Be sure to adhere to other company’s brand guidelines by using the correct logos/wordmarks/symbols for any brands mentioned in your client reports. Because everything is digital these days, your agency likely delivers all reports through email as PDF files, links to an online report, or via dashboard login links. You need to make sure that the automated solution you select for your reports has the capability to send the report from an agency-branded account (and not a solution-branded account). That is, reports should come from me@myagency.com and not no-reply@my-report-vendor.com. Your email domain is not only an extension of your brand. It also helps clients know from what email address they should expect to receive their reports. This detail is especially important because some clients may have strict email filters that could send your email straight to the spam box. If you tell your clients to whitelist your email domain, you won’t have this problem. If your agency is large enough to have account managers for specific clients, then the report should be delivered from the account manager’s agency-branded email account. That ensures that if a client hits “reply” on a reporting email, it will be sent to the appropriate person – their account manager. If your agency provides clients with a unique login to view their white label reports or dashboard online, you’ll want to be able to brand this as well. The ideal white label dashboard solution will let the agency use its own domain to host all of their clients’ white label reports. By doing this, all the client has to do is visit a subdomain of your agency website to log in (https://dashboards.yourdomain.com.) If you do this, you can maintain full creative control over how the dashboard looks and apply the branding elements the way you want them to be presented. How To Add These White Label Features? When you manually create reports in Microsoft Word, Excel, or PowerPoint, it is relatively simple to extend your branding into these programs. But what if all of your agency white label reporting is completed through automated means, such as software or a browser-based program? If this is the case, you will want to choose a reporting tool that lets you fully customize every aspect of the white label report—including the PDFs, online reports, and dashboards that you create for clients. Brands are the foundation of any company, providing an identity that lets clients know what the company does, what the company believes in, and what the company hopes to accomplish. Branding your white label report is no different than creating a website for your company or creating business collateral: If it’s going out into the world with your company’s name on it, it needs to include all elements of your brand.